YRKKH Naira attempts to know the baby’s truth and reaches the hospital. Naira gets suspicious about the baby’s medical reports. She doesn’t understand the truth and thinks to clear her doubts with Kartik. Kartik finds her worried and asks the reason. Naira tells him about the hospital’s mistake where the baby’s medical file isn’t made properly. Kartik doesn’t know what to answer her. Naksh and Kirti arrive like a storm and scold Kartik. Naksh angrily slaps Kartik and accuses him for snatching his baby. Kartik gets into a shattering moment when his truth gets exposed. Kirti tells Goenkas about Kartik’s big mistake. Kirti can’t believe that her brother is the enemy of her happiness. Goenkas want to know the entire matter. Naira asks Naksh to answer her and reveal Kartik’s mitake. Kartik doesn’t want Naksh and Kirti to break the news to Naira this way. Naira asks Kartik to tell them the matter. Kirti asks Kartik to answer them what he has done. Naira asks Kartik to answer her by swearing on Krish. Kartik refuses. Kirti and Naksh reveal about Kartik’s crime of baby swapping and hiding the truth from them. Dadi gets a big shock when Kartik accepts the blame that he has wronged many lives. 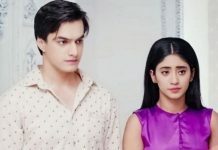 Kartik tells them that he has snatched Kirti’s baby since she was in coma and Naira was in need for a baby in the critical time when she lost her child. Goenkas can’t believe Kartik’s misdeed. Kirti tells Naira that Kartik has taken away her baby and given it to Naira. She tells them that Krish is her baby. Naira can’t accept the truth. Goenkas realize that Kartik and Naira have lost their baby, which made Kartik take this extreme step. Naira asks Kartik about her baby. Naksh tells them how Kartik has done a crime and misused their absence. He tells them that he has learnt the truth by checking the CCTV footage. He asks Kartik how dare he do this with them. Naksh and Kirti can’t forgive him for this big cheat. They tell him that he has cheated even Naira by doing this big mistake. They tell Kartik that Naira had a right to meet the baby for the last time. They make Kartik realize his mistake. Kirti feels the pain and ends ties with her brother, since his mistake can’t be forgiven. Naksh tells him that he won’t punish her, but will end ties with him. Goenkas confront Kartik about his worst decision. They don’t want to forgive him. Krish cries and gets attention of both his mothers. Naira feels she has lost all rights on Krish suddenly. She didn’t expect this from Kartik. She tries to escape from reality. She takes Krish with her and runs away from everyone, while Kirti begs her to give the baby back. Everyone begs Naira to open the door and return the baby to Krish. They understand the pain Naira is going through. 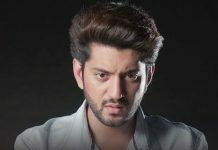 Manish scolds Kartik and asks him to see the consequences of his mistake. They call Kartik selfish and hold him responsible for this day. They criticize Kartik and scold him. Kartik gets blames. 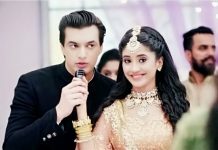 Kartik apologizes to Naira. Kartik shatters with this moment.